I absolutely adore muffins! If you go on the “Food & Drink” section on our website, you can see that I’ve created at least 3 muffin recipes… and that’s without counting the one Sacha has created! Haha! 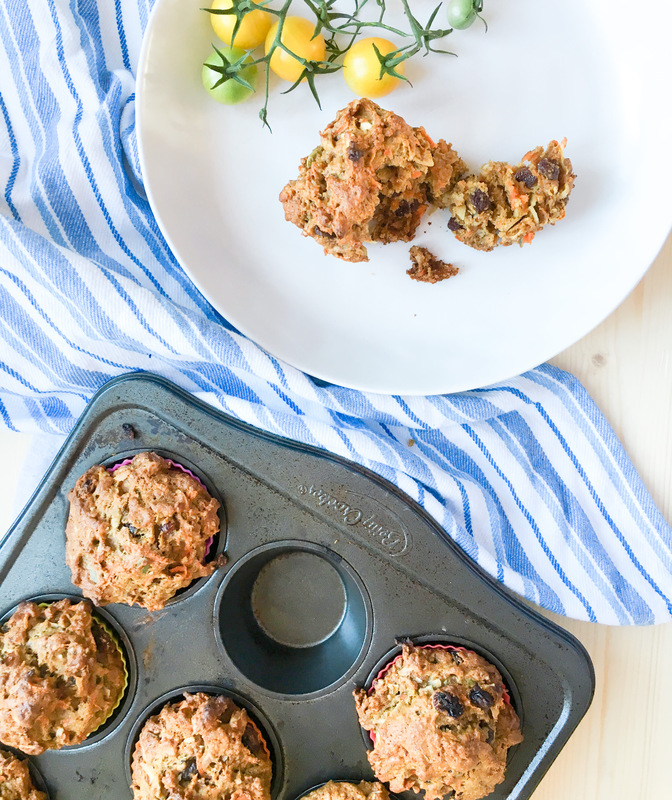 Here is our recipe of oatmeal, carrot, cinnamon, walnut, coconut, and apple healthy muffins. Preheat the oven at 400˙F. In a large bowl, combine the “DRY INGREDIENTS”. Keep aside. In another bowl, combine the “WET INGREDIENTS”. Combine the dry and the wet ingredients together and mix until well combined. Scoop out the batter into a muffin tin lined with 12 muffin cups. Lower the heat of the oven to 375˙F and bake the muffins at the center of the oven for 10 minutes. Lower the heat of the oven to 350˙F and bake for an extra 10 minutes.